Comments: My goal was to go deeper with this image than any of my past attempts. I was able to show a fair amount of dim H-alpha emitting clouds that this area has in abundance. Jeff Thrush convinced me to try taking flat fields on this one and it worked out very well. 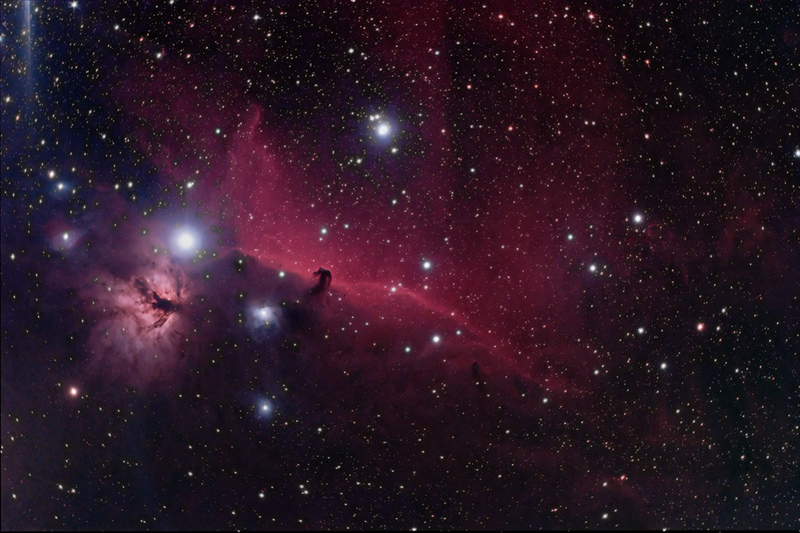 I will re-process this in a while to see if I can smooth out the area around the stars somewhat.